Is it just me, or can running a business make you feel a bit schizophrenic? Sometimes, your sales will surge with no explanation. Other times, it’s all quiet on the Western front. Sales rise and fall for a number of reasons—many times for reasons outside of our control. However, ratings and reviews consistently affect your bottom line in the same way, no matter what’s happening in your market. 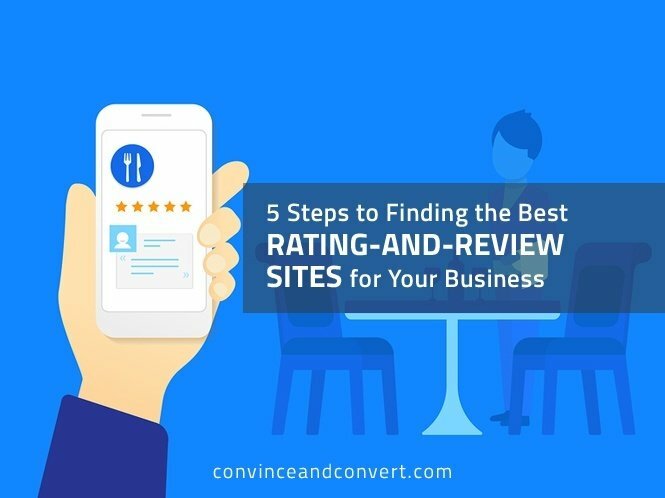 Managing the rating-and-review sites that are driving (or not driving) sales for your business can help you get business more reliably. Even better, there are a few tried-and-true strategies for finding and evaluating these sites. Some are more time-consuming and cheap, while others will do the work for you, but cost a little extra. Begin by Googling yourself—but make sure you’re in Incognito mode (or the equivalent). Incognito mode allows you to take any of your preferences (search history, location, etc.) out of the equation and provides you a clean, objective search. An Incognito search helps you see where you rank organically. This allows you to see how people are discovering your business. For instance, if you discover that your Yelp page ranks significantly higher than your actual website, you know where to focus your efforts. Many business owners today rely on Google Analytics to gain insights into their growing (or shrinking) website traffic. How to set up Google Analytics is well beyond the scope of this post, but here’s a very helpful post from Google on how to get started. Once you’ve set up Google Anaytics, let some time pass. Give yourself a week, or even a month if you can afford it. Then check the “Source/Medium” tabs to find out where your traffic is coming from. Pay special attention to the ratings-and-reviews sites in the top 10, as well as the ones that aren’t. Are any of them ranked higher than your website, your Facebook page, or your Twitter page? If so, you can’t afford to neglect them. Be direct. Ask your customers how they made the buyer’s journey from discovery to the sale. There are several ways that you can do this, but the best way is to conduct a brief online survey that enters them into a drawing for a prize. It doesn’t matter what the prize is—just having one will sweeten your response rate. Once you have all this information at your fingertips, it’s time to synthesize a new strategy. Compare what you thought your top sources of traffic were to what they actually are. Look for consistencies and inconsistencies in your performance. If you’re not getting any visitors from a certain channel (like TripAdvisor), perhaps it’s time to start managing reviews better. And if you find you’re getting a lot of traffic via Yelp, make sure that keeps happening. Don’t forget to respond to customer concerns and compliments, too. Are any high-profile reviewers complaining? You know your business better than anyone, so keep an eye out for potential threats and opportunities across all review channels. Don’t slack. You can’t afford to. A bad online reputation is no reputation at all. Formally known as Google+ for businesses, it’s a bit of a double-edged sword. While not nearly as well-known as Yelp, Google My Business is guaranteed to pop up when someone is searching Google for your business. Pay special attention to this channel. If you have too many reviews and not enough time, there’s an app for that. The popular ones are ReviewTrackers, Reputation Ranger, and Yext. Turn these steps into a consistent practice, and you’ll be armed for success with online ratings and reviews.